Pay $4 or more to get access to the soundtrack! More audio formats and track listing available at Bandcamp. Rooms no longer have the possibility of never being found. It's now impossible to be searching forever. Your room will appear... eventually. Added a screen that shows the game's controls quickly. Enter/Return will save a screenshot to your desktop! Super Potato: Reserved for very old computers. 1/8 texture sizes and no anti-aliasing. No Vsync! Absolutely abhorrent. Potato: 1/2 texture sizes and no anti-aliasing. No Vsync! Still pretty ugly. 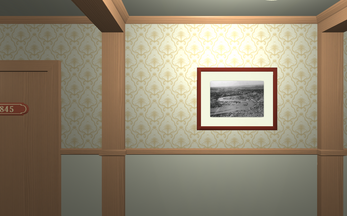 Okay: Full texture sizes and no anti-aliasing. No Vsync! Good: Full texture sizes and no anti-aliasing. Vsync! Normal: Full textures with 2x anti-aliasing. Vsync! Fantastic: Full textures and 4x anti-aliasing. Vsync! Too Much: Full textures and 8x anti-aliasing. Vsync! This is overkill and Fantastic looks better. But if you really want to, it's there. I recommend playing on good or normal, but fantastic is optimal.